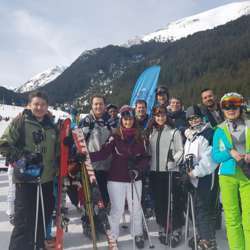 You must be a member of the London Skiing Group to attend this activity. Would you like to join this group? Join this trip and have new friends. We will relax in our spa hotel after skiing in beautiful Bansko ski slopes. Moreover the nightlife is very good in Bansko with many bars&night clubs so we will go out for nightlife in Bansko with many tourists around the world. We are already 6 people booked for the ski trip.